Homeowners looking for exterior siding on their homes, should look into aluminum siding, which still remains a popular alternative to cheap vinyl siding and overly expensive wood siding. Aluminum siding offers many advantages to discerning homeowners who want a quality product for their home at a reasonable price. It is important to consider all the pros and cons of aluminum siding to decide whether this material will be a good fit for the style of your house and your personal needs. A big benefit of aluminum siding is that it is a stable material at all temperature ranges. While extreme hot or cold temperatures can damage vinyl siding, aluminum siding remains unaffected, continuing to protect your home. This property makes aluminum siding a smart choice for homeowners who live in areas with extreme temperature variations. Of all siding materials available, aluminum is one of the most durable and long lasting. The aluminum itself can last virtually indefinitely, and it is also a rotproof, waterproof, corrosion and termite resistant material. As a result, aluminum is able to withstand years of exposure to the elements. In terms of durability, aluminum by far outperforms vinyl siding. If your home is in a coastal area, aluminum siding would be a ideal choice, since aluminium reacts with air to form aluminium oxide. This is an extremely hard coating that seals the aluminium surface from further degradation and provides superior protection for your home. Apart from removing occasional dents, aluminum siding requires very little regular maintenance. Once the aluminum siding colors will fade, it can be easily repainted to look like new. An added benefit is that the extra layer of new paint will not only improve the appearance of your home, but will actually improve the durability of the siding as well. A good paint job on aluminum siding can last for about 20 years. Many homeowners really like the attractive look of aluminum siding. This material is available in a wide range of styles including horizontal, vertical panels and a broad array of prefinished colors. Alumnim siding is also available in a variety of textures including wood shake/shingle style. Note that it is not possible to do detailed trim work with aluminum siding. Aluminum siding is expensive. Much more expensive than vinyl siding and even more expensive than cedar. On average, 1 square of aluminum siding will cost $275-300, just for panels. This cost does not include trim. Additionally, aluminum siding is very hard to find. I had to call 5 different suppliers until I found on carrying aluminum siding and their on hand stock was nine 8″ x 12′ clapboard panels, only available in white. Others did not even sell it. So to today if you plan to have horizontal aluminum siding installed, plan to spend an are and a leg, and hope you can find enough for your home. You can use our Siding Calculator to estimate aluminum siding cost. Unlike vinyl siding, the original color of aluminum siding will eventually fade. In addition to gradual fading, the prefinished paint is known to also chalk, and run off onto the walls below siding and it can even wear down to bare metal. Scrubbing, washing or even steam cleaning aluminum siding cannot make it look the way it used to when it was new. This means that sooner or later you will have to repaint it. If you are willing to spend extra money, now you can purchase vinyl coated finishes that will help alleviate paint problems of cheaper aluminum siding products, significantly prolonging the fresh new look of your aluminum siding. In case aluminum siding gets damaged or punctured, it is a challenge to patch in a piece of metal. As a result, large scale repair jobs are both difficult and costly. Repairing a hole or damaged part of aluminum siding requires removal of a very large piece of planking, or the use of metal sheers that can leave visible cuts if not used properly. 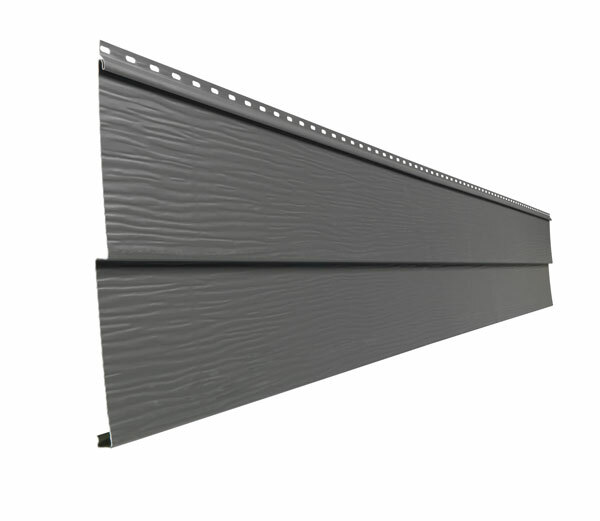 Alluminum siding can be dented or damaged by impact. If you live in a area that gets a lot of hail storms, aluminum siding would not be a good option to protect your home. Similarly, aluminum may get easily damaged if you live in a high traffic area where debris or sticks could hit the siding, or there are lots of children who may bounce balls off of it. Dents on aluminum siding will not spring back like they might in vinyl siding and the strip may need to be replaced or refinished to make it look right. Because aluminum siding is made of light, flexible metal it is prone to being noisy when the wind starts to blow hard. As a result you get a lot of “pinging” sounds when aluminum siding rattles in high winds. Similarly, you may hear additional unwanted noise if it rains really hard. Consequently, if you live in area that is prone to strong winds and/or heavy rain fall and you are also sensitive to outside noise, aluminum siding may not be the best option for you. When choosing siding materials for your home, there are many options to consider. Little else will define the look of your home as the siding will. The appearance of your home will undoubtedly be affected by the choice of siding material and will likely be the first thing visitors to your home will notice. While most people, unless they live in a neighborhood with a homeowner’s society, have the luxury of choosing whatever material makes them happy, it is important to keep in mind the feelings of your neighbors. If you live in a neighborhood of a specific style of home, for example brick ranch, choosing a stucco finish might make your home stick out like a sore thumb. For this reason, at least, consider carefully your choice of siding materials. Speaking of brick, it is a durable and classic look that has been a popular siding material. Brick is an Eco-friendly building material as it is made from naturally replenishing resources, and can be recycled. Brick does not require maintenance and painting like other types of siding materials, as its natural coloring options are beautiful. 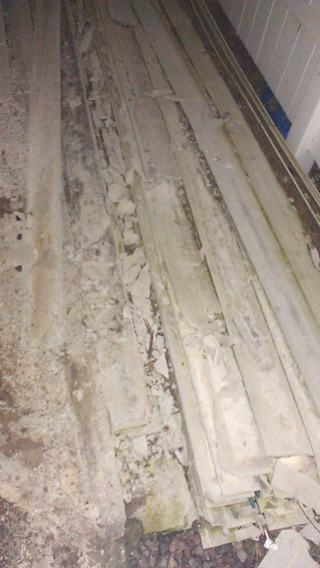 In addition, the lack of painting means the air quality is improved and the chance of mold is greatly diminished. Brick is also durable and resistant to fire. Brick siding can last a hundred years or more. The energy use of the home is deeply decreased, as the indoor temperature swings are moderate, therefore, the load on the heating and cooling systems are decreased as well. Stucco is a siding option that is traditionally made of cement, water, sand and lime. Often found on homes that are Mediterranean or Spanish style, stucco has been around since the time of ancient Greeks and Romans. Synthetic stucco is an option that is not as heavy as real stucco, but it is also not as durable. Stucco can be tinted any color you want and may never need to be repainted, but it does require maintenance. Certain types of synthetic stucco have had reported problems with water damage as well. Stone siding can hold up to extreme weather conditions unlike many other siding materials. While it is not only the most durable, it is also the most costly. Stone siding brings to mind European castles and mansions, but also New York cobblestone, which is less expensive and considered an art form by many. Some stone veneers can be made-made, which will lower the cost, but many are fake looking and are not as rugged. Wooden clapboard siding is a traditional looking material that is often found on older American houses and historic homes. It is the least maintenance-free option in siding materials as it requires painting and caulking and is prone to insect damage and wood rot. An advantage to wood siding is the relatively inexpensive cost and maintenance costs can be lowered by staining the wood rather than painting. Engineered wood siding is an alternative to traditional wood siding and is easier to install since it comes in panels, but it rarely looks like real wood. An advantage of the engineered wood siding is that it is more aesthetically appealing than vinyl or aluminum siding to some people. Vinyl and aluminum siding are both durable options for siding materials. Vinyl won’t rot like wood and it is usually the cheapest to buy, but vinyl is prone to fading and cracking. There are also some environmental issues with vinyl siding. Aluminum siding is easy to maintain and won’t damage the environment, but it can fade as well as become dented. Cedar shakes or shingles are a wonderful option for a home in a wooded area as this type of siding material blends in among the natural setting of trees. Stain applied to the shingles will help to prevent peeling, and they require less maintenance than wood clapboard siding. 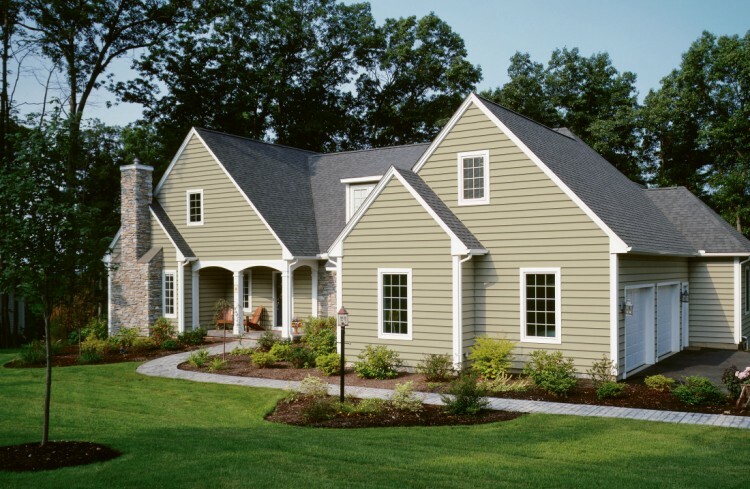 You have probably heard a lot about vinyl siding and how it can help your home. According to many people, it is easier to install than other materials, fairly durable, and comes in a wide range of colors. However, you probably have heard very little about the different kinds of siding, such as fiber cement and cedar, and what the pros and cons are. Vinyl is a popular choice amongst many homeowners because it can be a do it yourself project if you want it to be. Also, this type of material does not require too much maintenance over time, which is ideal for busy people. It should be washed annually though. It tends to be cheaper than wood and fiber cement siding. For many people, vinyl is easy to find in hardware stores and allows them to add their own unique touch to the exterior of their homes. This is because siding comes in tons of different colors and styles, some of which mimic the look of wood and other materials. Also, any good hardware store should have a special toolkit to help you get the job done. Over time, the vinyl can tear and become worn. It may not be suitable for areas where there is harsh weather, such as frequent storms, as it may tear or puncture the vinyl more easily than other materials. Also, high winds can cause the panels to become undone. If you consider yourself to be an environmentally friendly person, vinyl is probably not for you. This is because when vinyl burns, it releases toxic chemicals which are hazardous to the environment and to our health. Additionally, disposing of it is also hazardous to the environment. Fiber cement siding is more expensive than vinyl, but cheaper than wood. It can be made to resemble any number of different materials, like stucco or wood. Additionally, this material is more durable than wood and fire resistant. Many people choose fiber cement for their homes because of the added safety. Also, it is quite affordable when compared to the cost of wood and generally requires less maintenance. 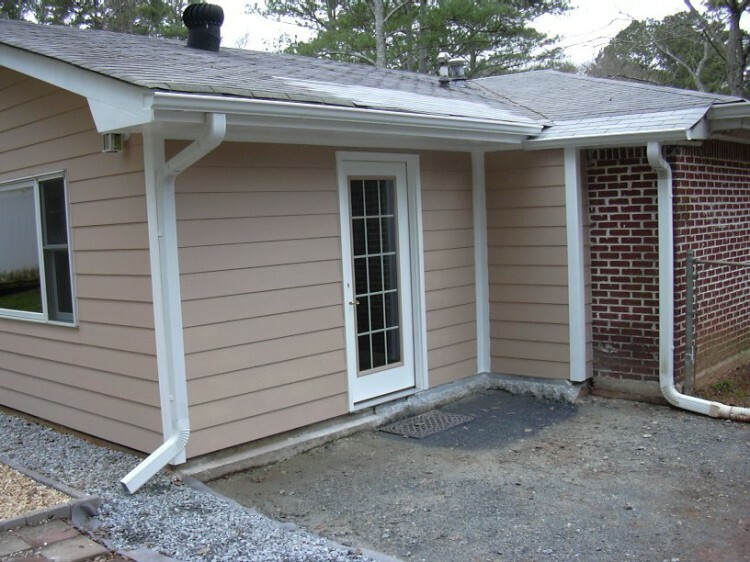 This type of siding can also be found under the names cement fiber siding and concrete siding. Wood clapboard siding is known for giving homes a classic look and being very beautiful. However, this look does come at a cost because this type of siding is both expensive and high maintenance. However, the prices do range greatly amongst the different types of available woods. Wood clapboard comes in tons of different finishes that can appeal to almost anyone. You can also paint it any color you desire. However, you will need to paint it regularly and apply a good finish to it in order to ensure it is always looking its best. Staining, rather than painting, the wood may help decrease the amount of regular maintenance that must be performed. Choosing the right siding for your home is not an easy task. To help you narrow down the material choices, consult a professional siding installer / contractor, and they will help you figure out what appeals to your tastes, how much you can spend, and what will best stand up to the weather conditions of your home town.